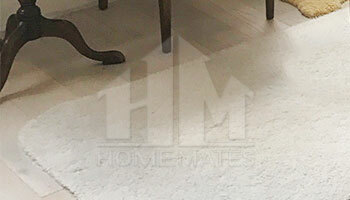 HomeMates employs some of the best carpet cleaning technicians in Earls Court, SW5. Choose our carpet steam cleaning service today and restore the look of your carpet. To maintain an excellent look of all of your carpets, you need to provide constant care for them. In case you have busy working schedule and feel unable to manage with this tasks all by yourself, we are encouraging you to choose the carpet cleaning of our dedicated company. Find us in Earls Court, SW5 and book our high quality carpet cleaning. To make your carpets look sparkling clean, we use advanced carpet cleaning technologies and modern equipment. We offer you great availability, during the week as well as at the weekends. We will treat your carpets in a thoroughly professional and careful way so that they can restore their clean and beautiful look. If you consider our offer appealing, do not waste any more time, but arrange a meeting with our friendly staff. We would love to collaborate with you and to inform you about all the details of the carpet cleaning. Our carpet technicians can apply dry cleaning that will ensure the excellent extraction of every piece of dust and dirt. In our work we use special carpet cleaning equipment that consists of modern eco friendly detergents and ideal tools. We provide every cleaning procedure with attention to detail and we promise not to damage your favourite carpets in any way. If you want to have your carpets entirely cleaned from the stains and dirt, we are welcoming you in our respected company where quality matters. We can deal with the unpleasant smells on your carpets, thanks to the special deodorizers that we use. Specially for our revered customers we have set the lowest prices, without any hidden fees for the carpet cleaning in Earls Court, SW5. Apart from this, you can also benefit from the flexible working schedules. If you want to receive any additional information, you can use our customer support centres where our staff will be glad to respond to all of your questions connected to the carpet cleaning.